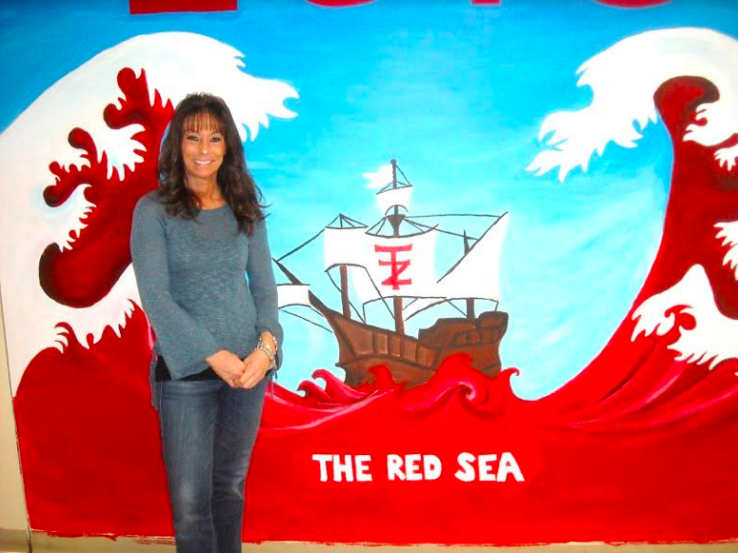 Nicole Glazer is the Parent Coordinator of the Tappan Zee High School’s 2019 Project Graduation event. Many organized, adult-supervised and alcohol-free activities are offered to the students as part of a post-graduation, all-night party at the high school. Tappan Zee High School’s 2019 Project Graduation marks the 28th annual supervised, substance free, all-night party for the graduating seniors. This task involves community-wide support and financial assistance to reach a common goal: to provide a substance free, tobacco free and safe environment to celebrate graduation. Many other communities across the United States have hosted Project Graduations, which have reduced the chances of students being injured in alcohol or drug-related accidents. “We charge a nominal fee of $10 and everything else is donated, including prizes and food. About 85 percent of the graduates show up at this must-attend party. I enjoy hearing the positive feedback from the students. It’s amazing as to how well received it is. There are about 50 underclassmen’s parents who volunteer to chaperone the occasion. That’s how I got ‘roped in’—when I volunteered to serve as a chaperone eight years ago with Project Graduation Coordinator Louise Jensen. She passed away and I have carried the torch ever since,” Glazer continued. Some schools partner Project Graduation with a community outreach activity like a food drive or a communal art project. In many communities similar to Orangetown, local retailers sponsor events and provide food, prizes and take-away gifts for graduating seniors. Some other time-tested Project Graduation activities include live bands, performance artists, photo booths, a human gyroscope, karaoke, screening of senior activities, renting out a bowling alley, a fortune teller and serving sweet treats like sundaes, creative cupcakes and floats. All school-related functions are supposed to be chemical-free, but what makes Project Graduation different is the attitude of the students. They have made a conscious decision to enjoy their graduation night, without alcohol or drugs. No other group, including parents and school personnel, can make that decision for students. Project Graduation collaborates with Rockland BOCES Career Development Center (KCDC), whose students handle the TZHS Project Graduation mailings under the supervision of Breda Purdy. KCDC is a vocational program that prepares students for the transition from school to adult life. The name ‘Project Graduation’ was coined in 1979 by educational planners in Maine, where a total of 18 people had died during 2 graduation seasons due to alcohol-related crashes. Maine’s first ‘Project Graduation’ was such a success, that high schools throughout the State adopted similar programs. ‘Project Graduation’ became the generic name for the chemical-free graduation parties that have started the new tradition of celebrating safely. For additional information about volunteering, email Nicole Glazer at projectgrad@tzhsptsa.org.